I'm in love with this box. 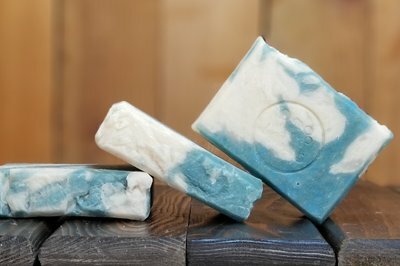 Not only are the soaps amazing but they make great last minute gifts! I have several people I work with who want to receive this for a gift and then want to know where I got it from. The samples that I get go great in the self care kits that I make for my coworkers and offer them various scents to choose from. Definitely would recommend. Even my husband looks forward to the different scents that come in monthly. I am very happy with the products! Will continue to use them! Love the soaps sent. Vendor took into consideration my allergies and delivered quickly. This is definitely a subbox that I would gift to another. Just got my fist shipment and had to fight my daughter for one of the soaps. Both are AMAZING! Am excited I signed up and can't wait for the next one. Well worth the price. Outstanding service with super fast delivery. Totally impressed with my soap. I will definitely be keeping my subscription active! Great soaps! All natural and great scents!!! I absolutely love these soaps! They leave my skin feeling fabulous. My daughter tried the samples and now wants a box of her own. Hoping to get a shave soap to try in my next box. Just got my first monthly package... This is truly amazing soap and I love that it's natural .. it smell is slightly but it smells amazing .. feels amazing ...they even sent two little sample soaps...you will love this stuff..